To say that ReedPOP’s New York Comic Con (NYCC) has had a bumpy start this year is an understatement. Still months before the convention has started, there has been a cloud hanging over the Javits Center. This year’s ticket sales were plagued with scalpers, timeouts, and a general state of misinformation; not to mention what appear to be hackers, but that was neither confirmed nor denied. And then there was how ReedPOP handled the whole issue: polite aversion. ReedPOP’s Lance Fensterman did offer an apology after both ticketing issues happened, but they never addressed what truly happened. The ticket system was exploited heavily. Where ReedPOP promised that fans could only buy six tickets at a time, VIP and 4-day passes were gone within moments of the noon EST opening. On my window, it offered me the chance to buy up to twenty tickets. I had no interest in it, so I do not know if it would kick me out. The offer was still there though. The thing is that ReedPOP says that a very small portion of tickets were actually claimed by scalpers, about 3% of the tickets, but it seems that the constant stream of tickets on eBay and Craigslist would prove otherwise. At one point, a single seller had over twenty lots of tickets selling at $1000 a pass; that is ten times the original selling amount. There is evidently a flaw in the system. However, ReedPOP is not the only one to blame. In many ways, I cannot fault ReedPOP. NYCC is a convention that is expanding faster than they know what to do with. 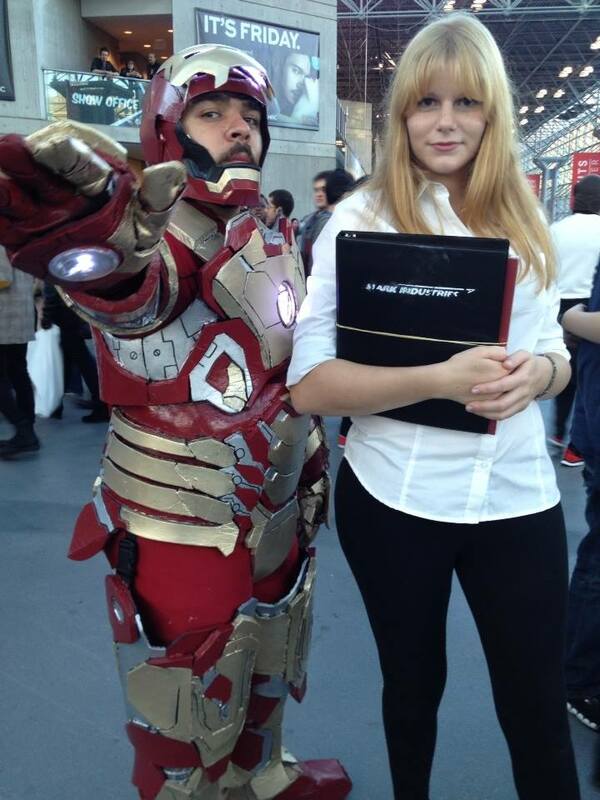 While they are experts in conventions and festivals, NYCC has grown in leaps and bounds in a very short time. It even feels that the Javits Center might have to find ways to expand to hold the convention very soon. Despite the growing pains, last year’s NYCC ran rather smoothly all things considered. The only lowlights was the lines for panels and cosplayer harassment, problems which seem to plague most conventions. Last week, thousands of NYCC fans waited in lines, some overnight, across Manhattan to get a second chance at the tickets they want. In some places, they found that they were not selling the passes originally advertised or the tickets had been pre-ordered. Fans immediately took to Facebook groups to complain about the villainous ReedPOP and the conspiracy. They also took to the internet to do something else: buy tickets at jacked up prices and feed the scalpers they hated so much. Now usually I am with the fans and try to keep big business in check, but this is not their fault. ReedPOP’s job is over and done; these are the smaller companies now. The biggest thing people have not realized is tickets are limited. With conventions “mainstreaming” and drawing in fans that are no longer part of geekdom, tickets are becoming a rare commodity. There has been a real “my right” thing going on. Fans are complaining that they have “always gotten tickets” and have been going since NYCC was a little convention. So why do you deserve a ticket more than someone else? This is my second year going to NYCC; how is your want to go stronger than mine? Honestly, it isn’t. Nobody has a right to anything, but this idea of demand is what is killing NYCC. Supply and demand is the basic principle which scalpers work on. They see a very limited supply and an overwhelming demand. Now added to the extremely low price that ReedPOP offers NYCC tickets at ($95 for a 4day pass), scalpers see a huge profit in the market. However, the scalpers would not have any business if people did not buy the scalped tickets. The willingness to pay a certain amount is the BIGGEST factor in these scalped tickets paying. Their markups are also not based off fairy tales and myths either; these are actual numbers that people are buying them at. That is right; you have to blame your fellow convention-goers for buying tickets at such extreme price mark ups. 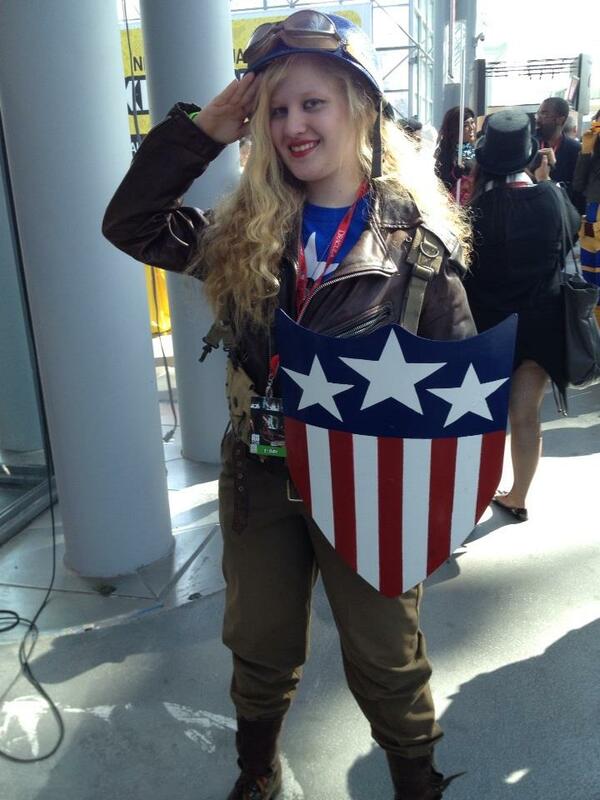 This Captain America wore her grandfather’s boots as part of her fantastic costume. Image: Tara M. Clapper. Judging by the mass ticket scalping, it is very evident that fans are willing to pay. And apparently, they are willing to pay a lot. So what can be done to fix the problem? Well simply put, NYCC could adopt a similar system to San Diego Comic Con International (SDCC). Convention goers of SDCC have to create a unique member ID even before they buy tickets, based on their license and email address. Each of these unique IDs has to be verified and can only have one ticket. While one person can buy several tickets, each ticket must be attached to a unique member. It is a lot of trouble, but not only does it insure a lack of scalping but also an extra security protocol. No anonymity there. A few months earlier, I had suggested something similar in several NYCC Facebook groups. I suggested that each ticket had to have an ID attached to it when they were purchased. It was simple; every ticket had to have a unique ID. My idea was met with attack. Convention goers felt like that was too NSA for them. They also seemed to want the chance to go sell their tickets if they could not make it at the last moment. Hmmm, yeah last minute, all right. Which is funny because now that the tickets are all sold out, people are suddenly “unable to attend” in many Facebook groups. Recently, a Change.org petition went out for ReedPOP to change the way they sell tickets. Perhaps it is for the good, but fans also need to realize that they are aiding the issue. Buying scalped tickets will just keep the scalpers selling them. Without the demand, they cannot sell. Just saying, this is simple business here. ReedPOP does need to change many of its policies over the next year. They need to make their fans know that they are listening. The bad PR will begin to cause fans to go to other conventions and leave ReedPOP with a bad name.